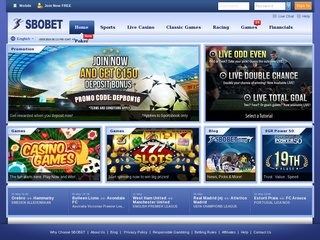 Sbobet is an online bookmaker founded in 2004 and is has a license to operate in Asia and Europe. It’s the first bookmaker that in 2009, received a license by Isle of man for launching a live dealer casino on the island. The online betting platform was a sponsor of Cardiff City football team until 2011. Sbobet is also famous for being a sponsor of the West Ham United club until the end of season 2012-2013. In August 2013 Celton Manx operator of the bookmaker announced that the company has succeeded in achieving an agreement with five Premier League teams (Southampton, Swansea, West Ham, Hull City and Norwich City) becoming their Official Asian Betting Partner for the 2013-2014 season. The year 2009 was very successful for Sbobet, and they were granted the 2009-2010 “Asian Operator of the year” award at the prestigious EGR Awards held by eGaming Review Magazine. The online bookmaker has since been ranked in top 50 of the most influential sport betting operators in the world and is still the preferred online betting platform for millions of users in Asia and Europe. The bookmaker is now one of the fastest growing platforms for online gambling. Being one of the top of the industry bookmakers in the world Sbobet offer a wide range of booking opportunities to its customers. With a selection of over five hudnred sporting events every week, the site has one of the widest selections of betting options. You can place your bets on sports such as soccer, basketball, swimming, cricket, cycling, ice hockey, motorsports, tennis, badminton and many more. Live betting is supported, and the mobile betting platform will offer you the flexibility to place your wagers whenever you want. This betting platform has such a simple interface that even people who have never placed a bet before will understand everything right away. Live streaming of major sporting events is also available. If you’re not into sports, the bookie offers a vast variety of casino games. You can place your bets on Poker, Blackjack, Baccarat, Roulette. Slots and and other virtual games are also available. The site is one of the few that offer a customizable display and betting options. You can take advantage of the countless features and make the layout of the screen just the way you like it. It’s all about making it simple for the betting user. Sporting lists can be arranged according to your needs. A “My favorites” option enables you to arrange your chosen sporting events or leagues and access them later fast and easily. Feeling the urge to bet on a soccer game at half-time? No problem at all just put the desired sum on the wager you’ve chosen, and you’re ready. Choose your winning team, place the certain amount of money you like and get ready for a thrill. The strong presence of the bookmaker in Asia means that the Asian Handicap betting is supported and very well managed. Sbobet has one of the best customer service support teams in the business. Every day they make sure your online betting experience is flawless, and the only thing you have to think about is the wagers. If you encounter a problem with your betting experience, you can always contact an employee via email, and they will help you right away. 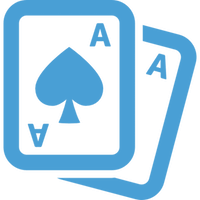 The site offers an SSL connection that can ensure that the player will have their personal data and funds protected. Security won’t be an issue when you’re either transferring a deposit or withdrawing a certain amount of fund from your account. The primary language on the site is English, but it also supports Spanish, Burmese, Japanese, Chinese, German, Indonesian, Russian, Simplified Chinese, Thai, and Korean. Odd formats available are Decimal (Europe), Malay, and Hong Kong. This makes it one of the most diverse sites in terms of language support. The bookmaker has an online chat support team, and a polite representative awaits your calls on a secure phone line (The UK and Philippine numbers). With very competitive rates, the sports betting sites has a great selection of deposit methods. You can transfer your funds via credit card, debit card or via Moneybookers. Minimum deposit of money is calculated depending on the currency used. The site supports multiple betting currencies. This makes it easy for users from different countries to start placing their bets right away, hassle-free. Deposit, make the bet, win and withdraw. It’s very easy to withdraw money from the account. You just have to navigate to the “Withdrawal” tab where you can request the funds you want. You can make only one request of funds withdrawal every 24 hours. All deposits and withdrawals have no transaction fees. Sbobet offers a wide variety of bonuses to its loyal players. The welcome offer is up to 200 EUR Deposit Sports Bonus. Every fist deposit will be awarded extra credits. All of the non-EU account holders will be rewarded the equivalent of currency deposited shown on the site. The bonus will activate when the qualifying deposit amount reaches a 14-time rollover. The sum will be credited in your account within the 3rd business day of meeting the requirement. The rollover must be 60 days of the activation of your account, and bets should be placed on 1.50 wagers minimum on non-live sporting markets. These bonuses will be updated over time, and the only way you can make sure you are always informed about them is to make an account.